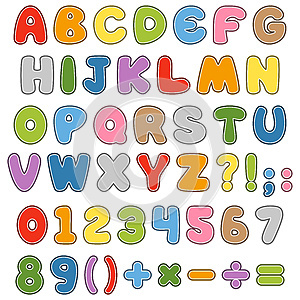 Funny colorful cartoon font for kids. Original hand drawn design. Useful also for educational or preschool books for kids. Eps file available.